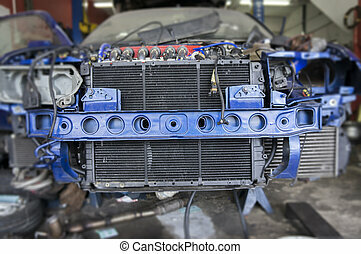 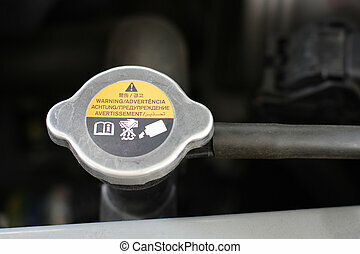 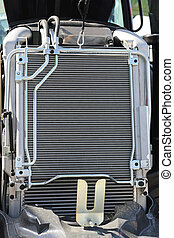 Engine cooling radiator. 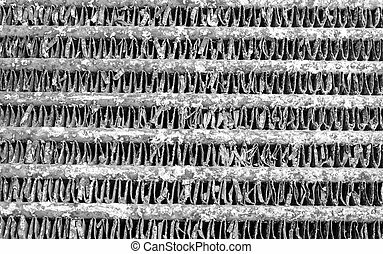 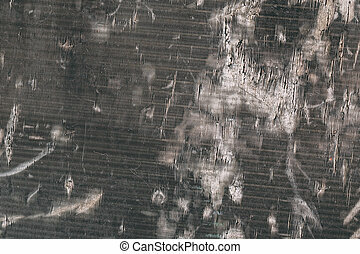 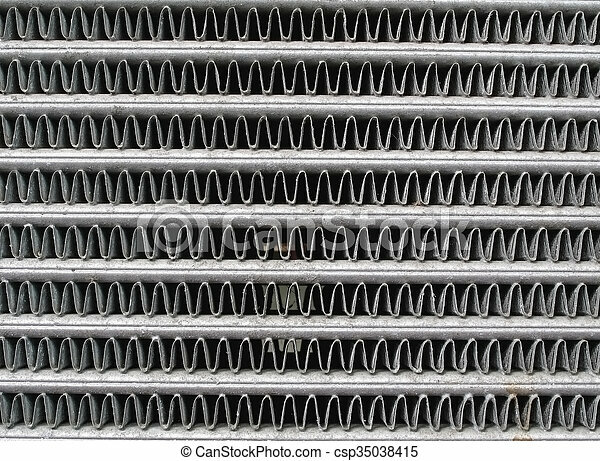 Texture of the old engine cooling radiator. 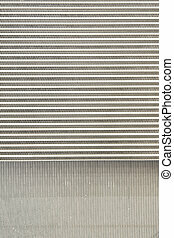 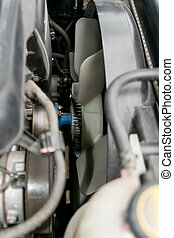 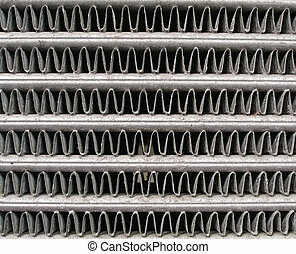 Close-up view of engine cooling radiator background texture. 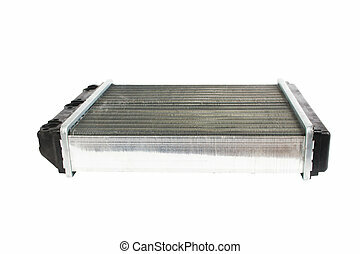 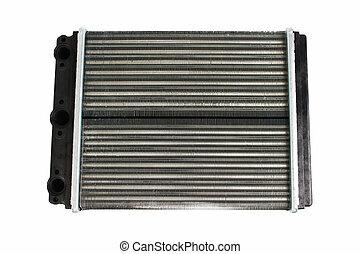 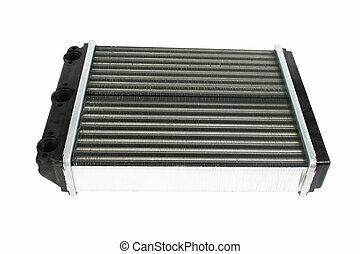 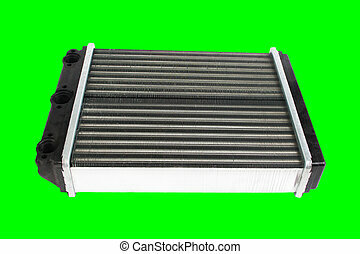 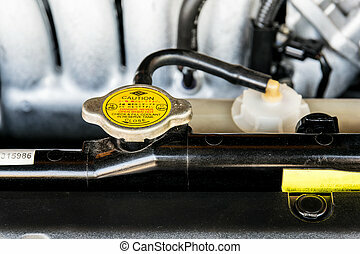 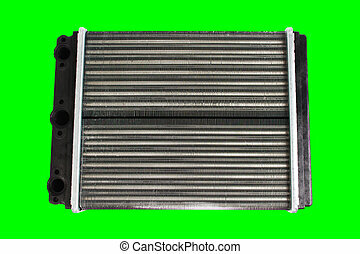 Engine cooling radiator isolated on white background. 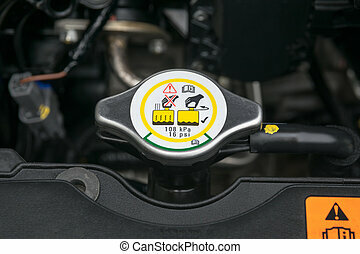 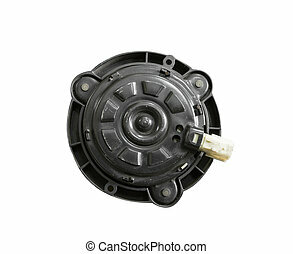 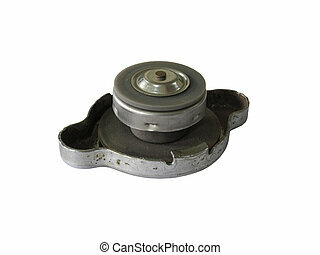 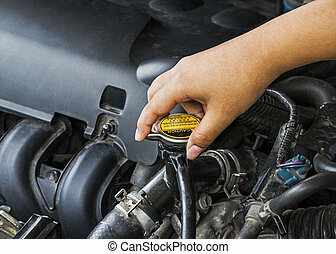 Auto spare parts for passenger car. 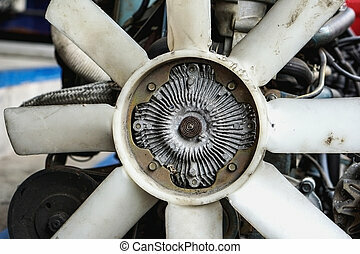 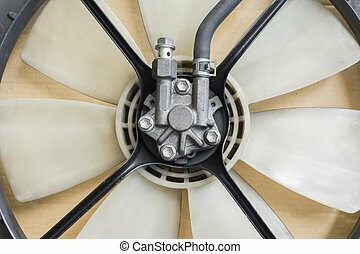 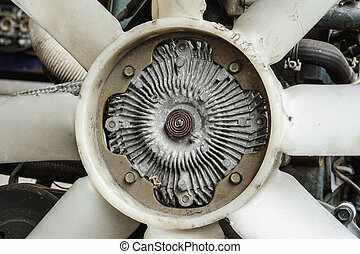 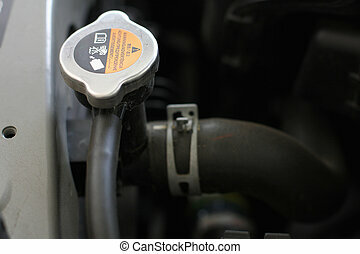 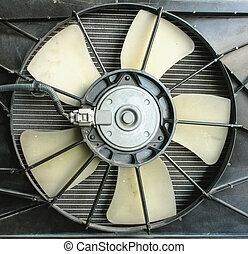 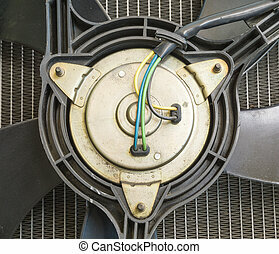 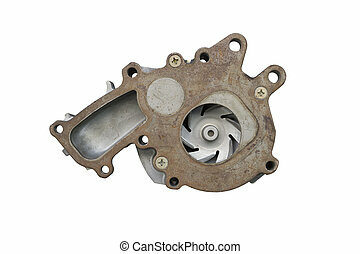 Car auto radiator cooling fans.